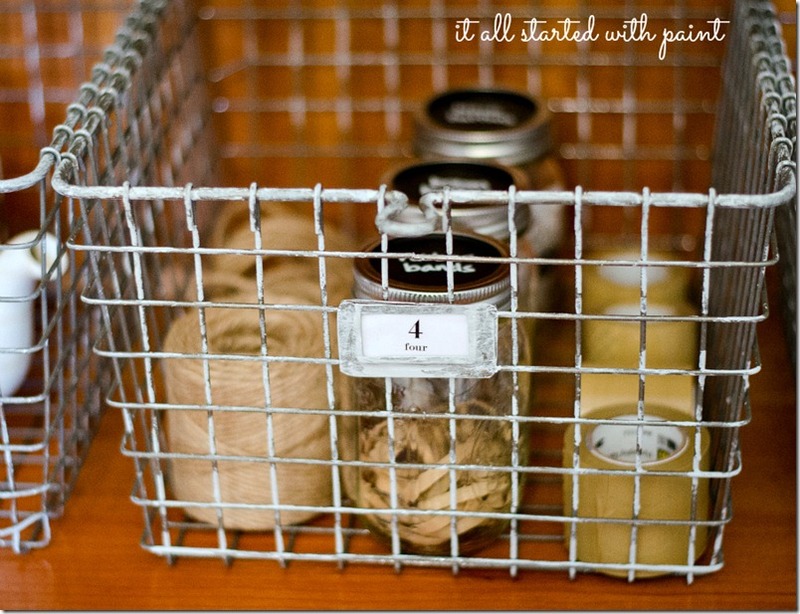 New Locker Baskets Turned Vintage – How To Make Chrome Look Vintage with Paint. I spent my formative years in Jersey, after all. Then there’s the extremely rare .01% of the time when sparkly just won’t cut it for me – and I’m pretty sure that statement has just banned me from New Jersey, Vegas, Dallas, Southern California, and a few canasta-playing retiree communities in Florida. 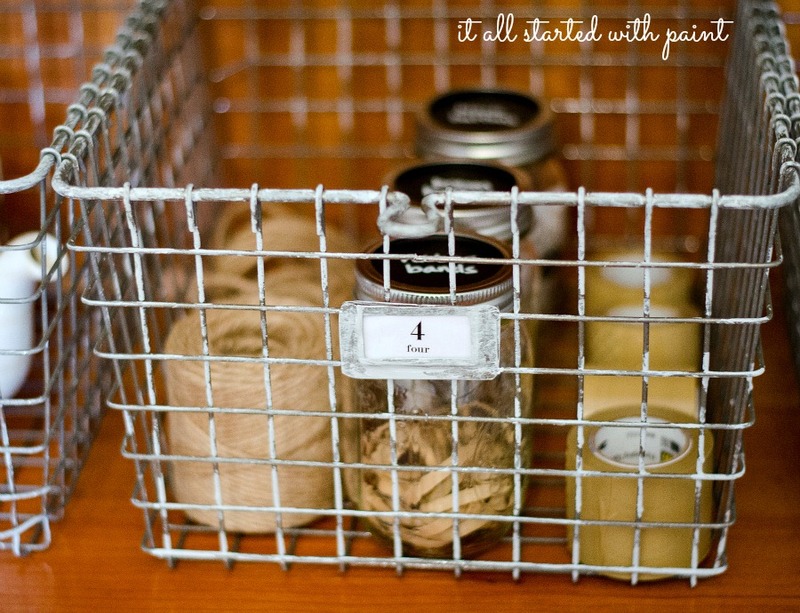 Luckily, it was a simple fix — made even easier after I searched ‘new locker baskets turned vintage’ and pinned a tutorial I found online here. I just grabbed some gray spray paint and … well … gave them a good spraying. Then, of course, each basket got its own number. 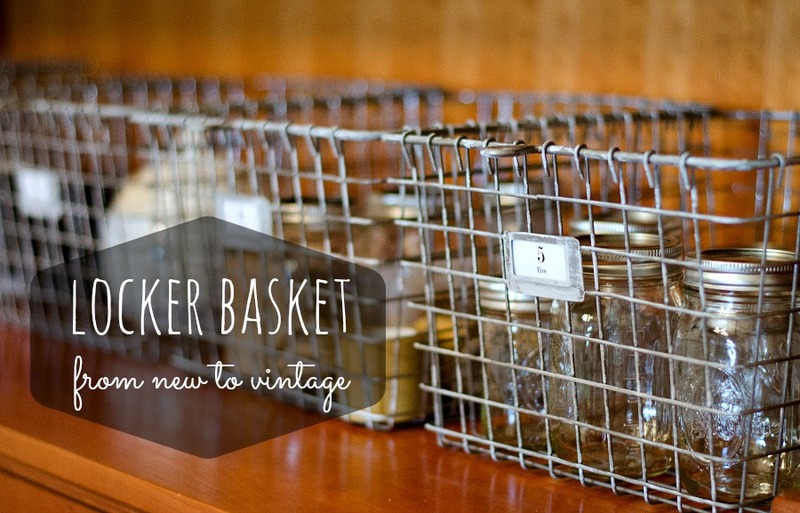 You know, so those new-made-to-look-like-vintage locker baskets wouldn’t be confused. I just printed the numbers onto plain old printer paper, and then gave each printer paper label a few coats of Mod Podge gloss. You read that right. Gloss. Now THAT is cool! 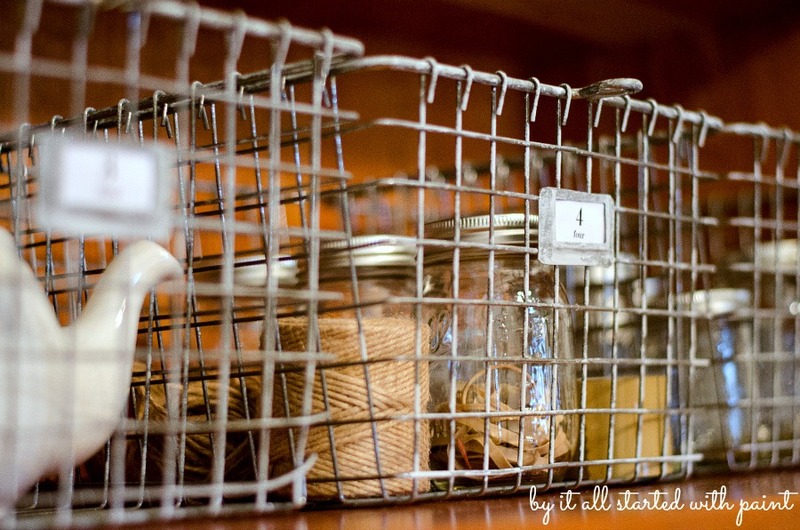 I spotted some vintage locker baskets at Scott’s and about fell over at the price! I like your idea better, Linda! I’m not buying that these are painted…there’s no paint where the wires would naturally come together and the paint would stick…these were made vintage from before the wires were bent. If not, how do you keep from painting them together? I don’t even know how to respond to this comment! Of course I painted them. I made this project so trying to pretend like I didn’t makes zero sense! Wow Linda! They look so “old” – so vintage! Love them. Awesome job! I especially like the number detail added to the front. Wonderful! I love the idea of new-old-vintagey-crusty- baskets! thanks for showing how you did it so random and haphazardly….I think I could do it! 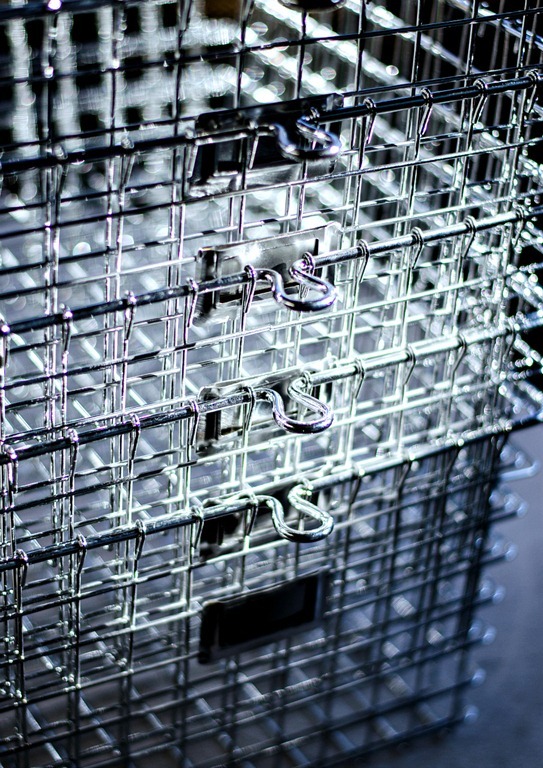 I have a bunch of shiny baskets to try this on. They look so much better crusty and old! Thanks for a great tutorial. Hey you let me know if it really works for keeping the dining room table cleaned off…I’ll buy and paint hundreds of these if it works! I am liking the baskets, can’t wait to get a look at the whole thing pulled together. Liberace to Lady Gaga in one afternoon! Cool! I read it twice….where did you get those locker baskets? I LOVE them! And I love the make-over! I love them! 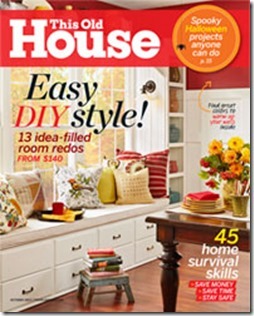 That must be what I need to keep my kitchen island clutter free! At first I thought you had left them outdoors for a year 🙂 Glad to know is easier and faster than that! Wow Linda! They look great! What a fabulous idea. It would never have occurred to me to paint them. I would have probably tried to soak them in vinegar or something strange like that, which is what I thought you did at first. Your paint job looks terrific! They really do look vintage! You go girl! They are perfectly vintage now and look fantastic! Nicely done!! These look great! I like you love a little bit of “rustic” in a whole world of “shiny bling” – perfect solution you came up with . What a great idea! I love non-shiny metal too and it’s hard to find. I’m definitely trying this 😉 Thanks for sharing! I’m your newest follower. What a fun post – I too need a little glitter with a little rustic! Great idea with the gray spray paint, and the end result if fantastic! Hope you can stop by the enchanted oven to say hi. Great idea! I love this! Thanks for the great tutorial. I love your numbers on the baskets as well. Have a great day! Wow! These look awesome! 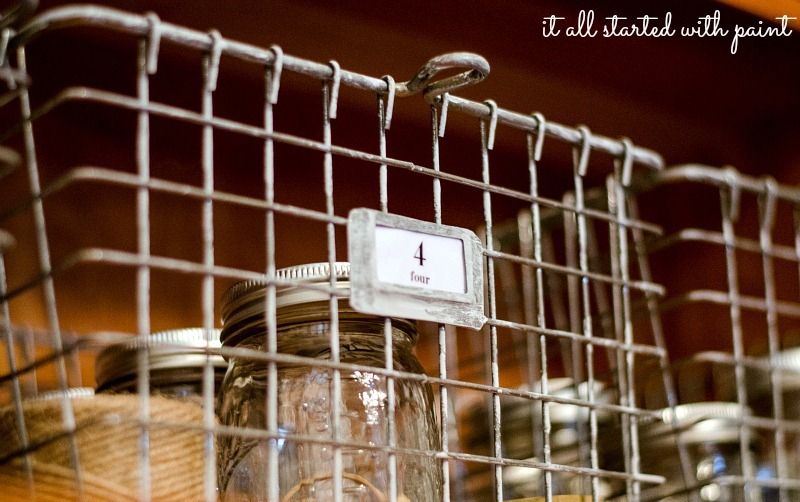 I am so obsessed with vintage locker baskets right now. You did such a great job! Awesome way to get the vintage look without the pricetag! Wow. You did an incredible job. 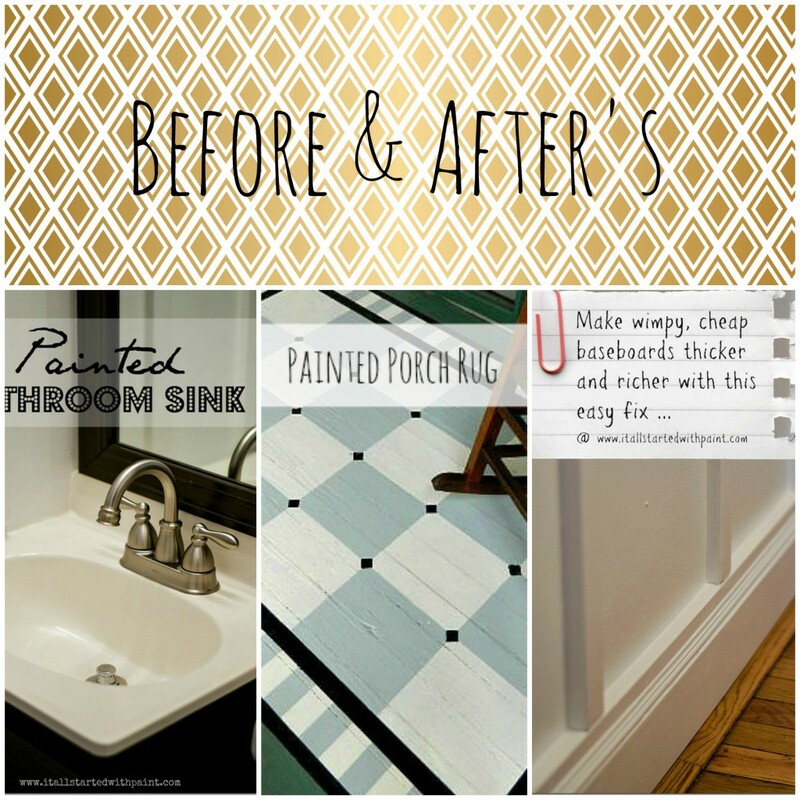 They don’t look “faux-finished” at all! Whoa! You solved my problem. I have a shiny little chrome basket that just won’t do. I love the look you gave these! I’d love it if you would share this at “What We Accomplished Wednesday,” at Green Willow Pond. It is live right now. Have a great week! I love it! Thanks for idea! Pinning! Looks like you made some a bit “bendy” in places, too. 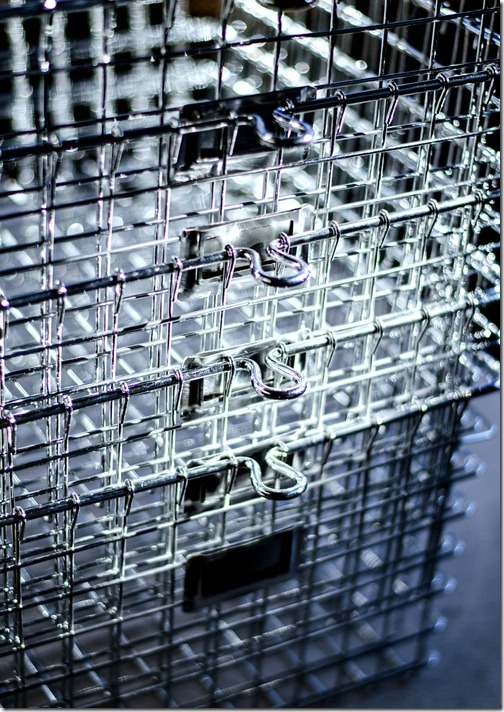 Those shiny baskets look much better aged…don’t you wish we all did :). 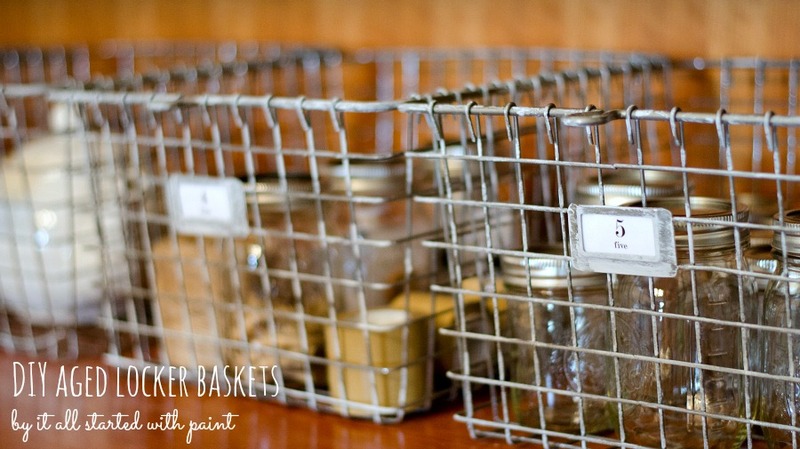 These baskets also work for organizing bags in the pantry and the freezer. Not having bags slide all over makes life easier. Wow these turned out so nice! Great job! I will be pinning this for sure! How great are they…the baskets really look vintage after you worked your magic!…. Such a clever idea! They look way better aged, who needs shiny and new anyway? GASP. I am always going to salvage & thrift shops looking for old metal things, and this is amazing for when I get annoyed when I can’t find what I want! I love old metal baskets. The yuckier the better. Definitely pinned & followed! These are AMAZING! 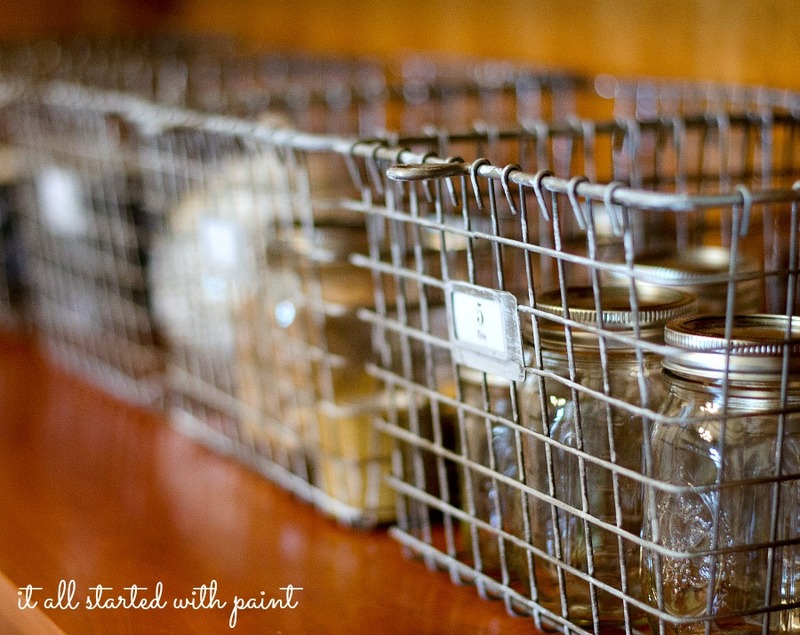 I had no idea you could make new shiny silver looks so vintage in a few easy steps! awesome idea! they look so fabulous. can’t wait to get some of my own! I’m always on the hunt for aged vintag-y industrial looking stuff. I’ll see something shiny and new in the store and think “Why can’t I find this -just older?” Thanks for this sweet tutorial! Pinning it. those baskets are fab and your photography is to die for!!! I have these exact same baskets! I love the idea of painting the tags with the gloss mod podge. Pinning! They look great, I would not have guessed that you just painted brand new shiny baskets. STINKING LOVE THESE!!!! Here from Debbiedoo’s & Fox Hollow Cottage’s Blog Hop!!! PINNED!!! Looks so cool! The vintageness is perfect! 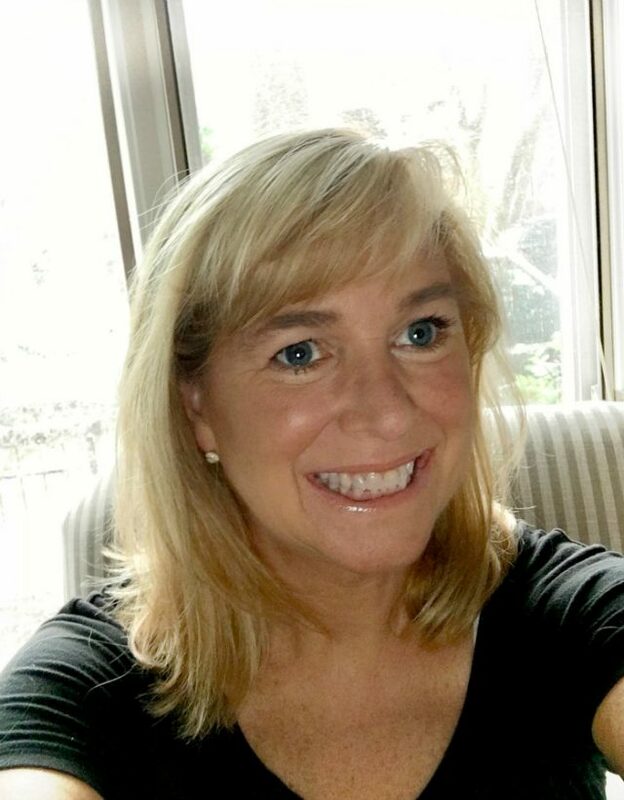 Hi, I’d love to have you share on Show and Tell Saturday #7 at Sassy Little Lady! What a great project. Did the label holders come with them? Very cool! I love these! I’m going to have to start looking for some of these baskets…..so I can make them look “old”. They look awesome! Love the finished baskets, and thanks for sharing the link on where you bought them. Now if only the dining room table randoms would find their own way into the baskets! These turned out wonderful. Love the vintage patina you gave them. Wonderful job! They look SO much better! I LOVE vintage locker baskets! OH, the things you could use those for… thanks for the idea! I love it! Sooo cool and I’m thrilled you posted where to find NEW locker baskets at a great price. I had one measley one from Target from many years ago and never found any more. Great Idea!! Love these…Found you over at Crafty Scrappy Happy: Happy Hour! Such beautiful baskets! Your “fix” for them was just perfect! I would have thought they came that way, that is for sure! Now I am going to be thinking about ordering some of them for the new pantry we are building 🙂 thanks!!! Wire baskets from the dollar store…. whattt . I must the lamest dollar store ever, we never get cool stuff. What is the name of your dollar store maybe I can get online at their dot com. We have Dollar Tree here mostly. In any case really beautiful.